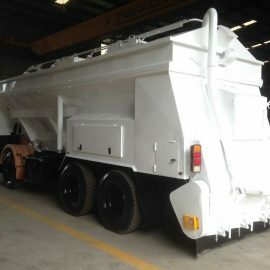 Valicote’s goal has always been to develop and maintain a substantial and diverse base of happy customers both within and external to the central Gippsland region, provide technical support to our clients, ensure stable and secure employment to our staff and to achieve all of the above at a profitable level for the principles. Through consultation and understanding of specifications, we are able to offer a viable asset protection service, whereby assets are protected and treated with the right product to provide maximum corrosion protection. When Valicote was founded on 1st October, 1980, Managing Director, Charlie Dal Pozzo brought with him over 20 years of experience in the abrasive blasting, painting and heavy duty protective coating industry. Sadly Charlie passed away in 2013, and Valicote is now managed by Charlie’s son, Adrian Dal Pozzo who has in essence grown up with the business and has always been a part of the journey from the very beginning. Most of the staff at Valicote have been an integral part of this family owned and run business for well over 20 years. 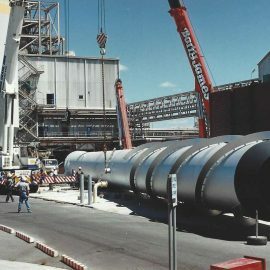 We are based on a large site in the Morwell heavy industrial area where we own and operate a large modern, all weather, climate controlled, integrated abrasive blast cleaning and coating facility and service which was established in April 1987. The 1st workshop consists of a blast chamber measuring 6 metres wide, 6 metres high and 20 metres long, 3 ten tonne overhead cranes all housed in a workshop that is 22 metres wide, 12 metres high and 110 metres long. The 2nd workshop consists of a Granowski 12 wheel centrifugal blast cleaning system, 2 ten tonne overhead cranes and 1 five tonne overhead crane which is housed in a workshop that is 30 metres wide, 12 metres high and 120 metres long. 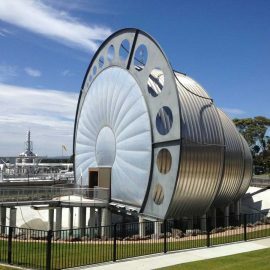 We have extensive experience in the application of a wide variety of protective coatings such as Polyureas, Zinc coatings, Epoxy’s, Thermal Spray Aluminium & Polyurethanes. We are able to provide a specialised coating system tailored to your specific needs, or work with supplied specifications provided. 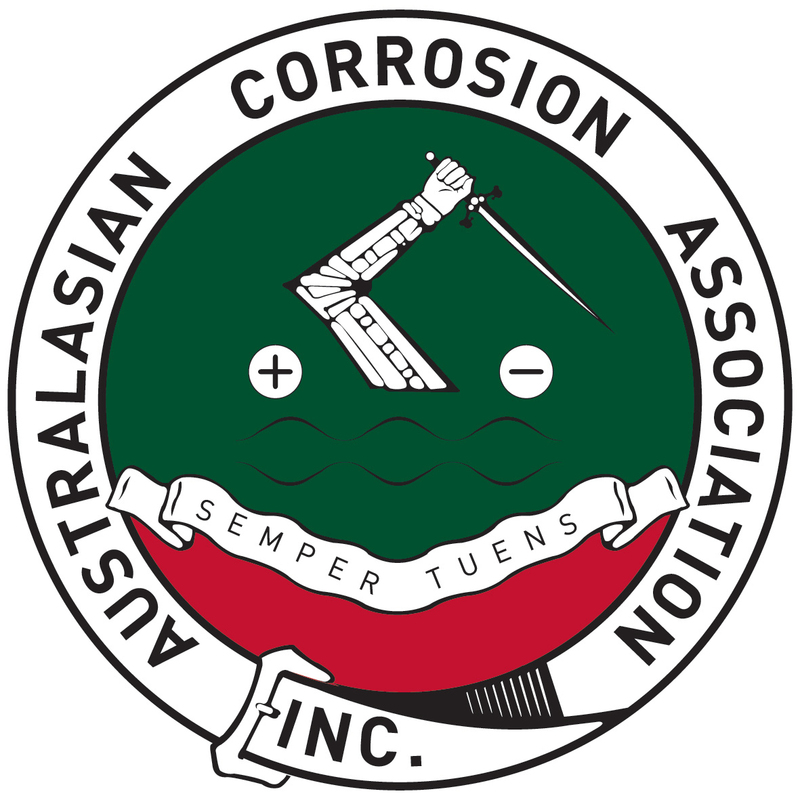 A professional onsite corrosion protection service is also available. We will work with you, the client, to establish what your requirement is and how we can work together to get the job done within time parameters, ensuring that the asset is protected against corrosion for maximum durability. Highly competent staff, modern and efficient equipment and workshops coupled with a stringent internal quality assurance program accredited by P.C.C.P (Painting Contractors Certification Program), ensures that Valicote gets the job done right, first time, every time. Our staff includes an inspection team consisting of NACE level 1, 2 & 3 certified coating inspectors. We develop project specific Inspection and Test Plans in conjunction with our clients to ensure that we are meeting their expectations and working within Australian or industry standards as required. At Valicote, we are committed to the training and developing of our staff, our best asset. 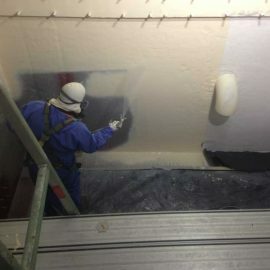 Most of our staff have been with us for up to 20 years and are mostly trained in-house, with several staff having completed T.A.F.E trade training programs, and most have also completed specialised courses for specific coating systems and equipment. They are the best in the business. Have any enquiries or would you like a FREE quote?